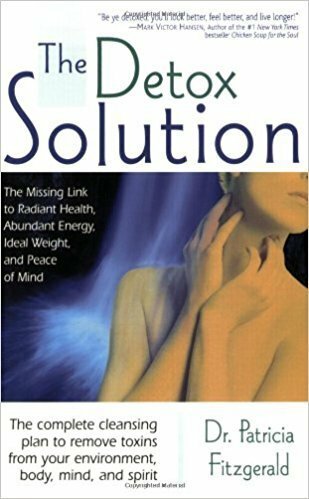 The Detox Solution: The Missing Link to Radiant Health, Abundant Energy, Ideal Weight, and Peace of Mind. 436 page, Award Winning, Easy to Read, Detoxification Education. Included as part of the RCCP Program. The number and amount of toxins in the environment is at an all-time high, and the American Cancer Institute links three-quarters of all cancer cases to environmental factors. This book offers consumers a way to effectively fight the ill effects of these toxins and live a healthier life. In addition to listing the toxins that are found in such everyday sources as food, cosmetics, and cleaning products, this guide offers nontoxic alternatives. Toxic influences on the mind and spirit are also explored and suggestions for achieving emotional balance round out this whole-health plan. Knowing the risks and rewards of a less toxic lifestyle empowers consumers to make the choices that result in not only better physical health, but in improved emotional health as well.